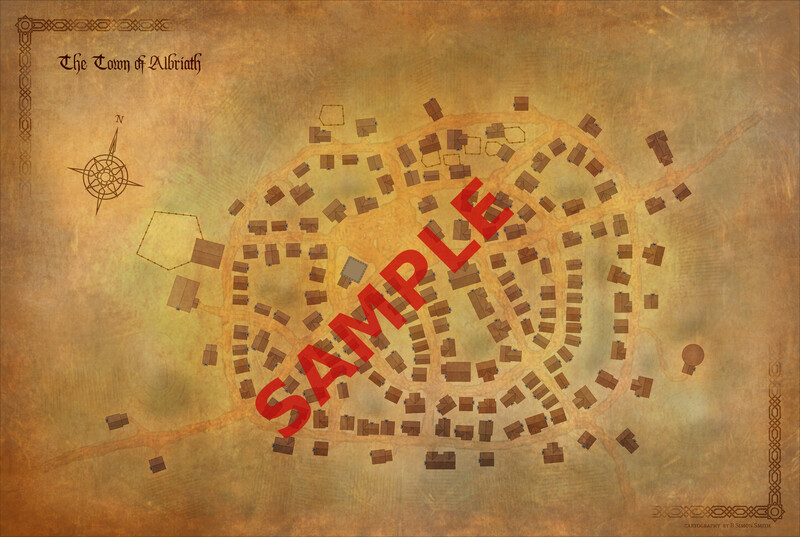 This is the town map of Albriath, a small farming town in the heartlands. The printed version measures 12x18. This title was added to our catalog on April 16, 2017.